There’s no better way to celebrate a beautiful Christmas morning on Maui than on a Christmas Brunch Cruise on the beautiful Pacific. Enjoy the balmy ocean breezes; the scenic views of the West Maui Mountains and the neighboring islands of Lanai, Molokai and Kaho’olawe; and perhaps some sightings of humpback whales! Dressing; Seasonal Assorted Island Fruit Platter; Banana and Pineapple bread. Be sure to save room for the desserts: Mini Pumpkin Pies with Whipped Cream and Christmas Sugar Cookies! For those of you wanting special Hawaiian Christmas Dinner Cruise on Maui; out of Maalaea Harbor the Quicksilver has a special menu planned: Appetizers including Baked Brie and crackers, Fresh Fruit and Veggies. Dinner will be Smoked Turkey Breast with stuffing, mashed potatoes, gravy, green bean casserole, cranberry sauce, Caesar salad, and dinner rolls. Pumpkin Pie for Dessert. 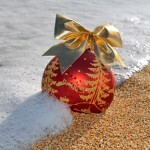 Check out our Web Site http://www.mauivalue.com/blog/events/fun-things-to-do-on-maui/ for a more complete list of what’s going on for Christmas on Maui. Maui Restaurants feature Christmas Brunches and Buffets. All the Christmas Cruises and Luaus for 2012 are now SOLD OUT.